Ah, the project I’m so good at avoiding: carding and spinning about a pound of Cormo locks. 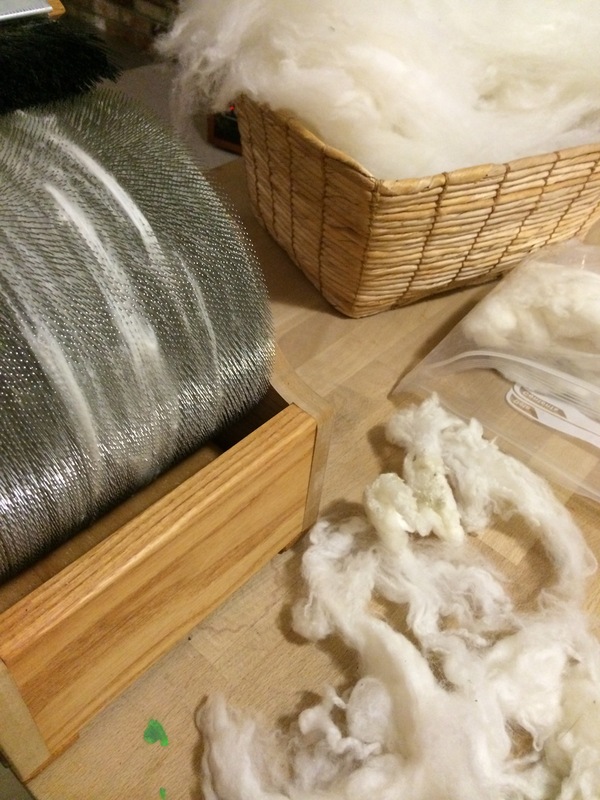 Spinning these is my last fiber-related goal of 2014, so I’m giving it one last push. I could feasibly finish carding tonight, then spend 2-3 evenings spinning them up. Wish me luck! This wee project is tempting me, though. It’s a Magic Coffee baby hat for some friends who are expecting in the Spring. I’ll only see them once before then, so I want to have at least a little something to give them in person. Back to carding! Good night! 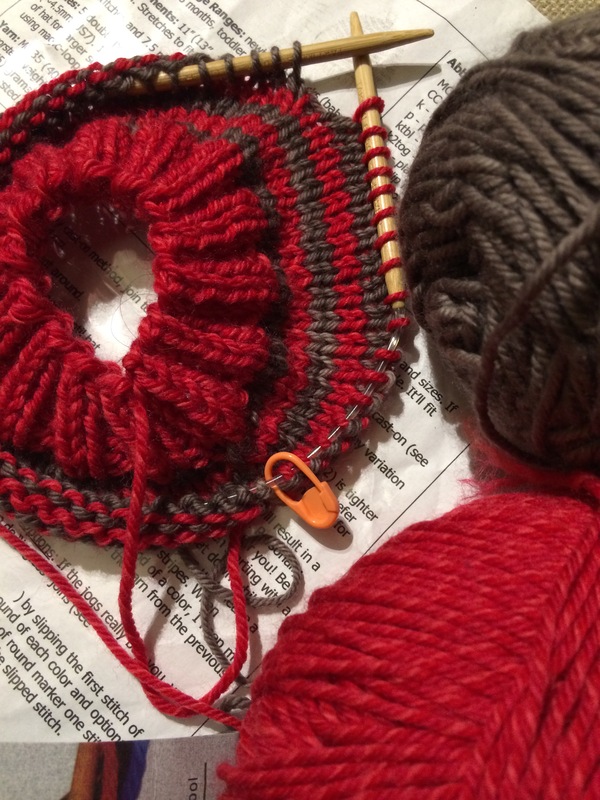 I am shooting to have one more hat, or two, done before the New Year comes. A large project would just be too ambitious for this tired soul. Good luck on your goal! Thanks! It’s going fine, I think I might actually make it!